Bathrooms are one of the most important spaces in your home. It helps that they have come a long way in terms of design and features over the past few decades. What used to be a place to simply wash up has become a sanctuary that provides rest and relaxation. Big or small, for the guest bath or the master suite, bathrooms are enjoying their time in the limelight. Tile, flooring, vanities, lighting and fixtures now come in a wide array of options, allowing homeowners to create a custom look that highlights their design taste. So how can you create your own bathroom oasis? 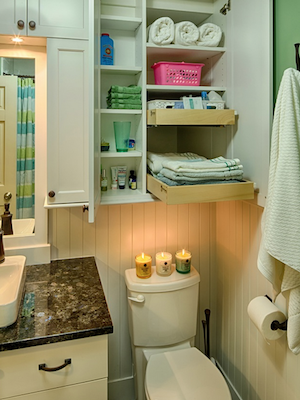 Here we revisit some of our favorite bathroom remodels to help you get started. 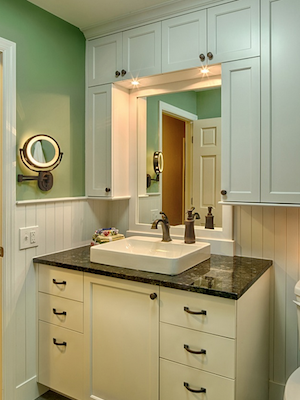 Whether your bathroom is big or small, adding custom details will elevate the design. In the Coventry home, we remodeled the master bath by adding a larger shower, bench and marble touches. The tile shelves and inserts in the shower add both storage and beauty in the enclosed shower. 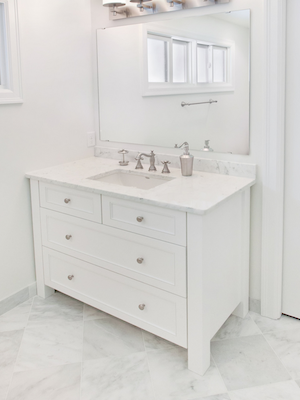 The custom vanity and new light fixture create a bright space for getting ready in the morning. Can lights and a glass shower enclosure all for light throughout the space, making this master bath bright, airy and inviting. 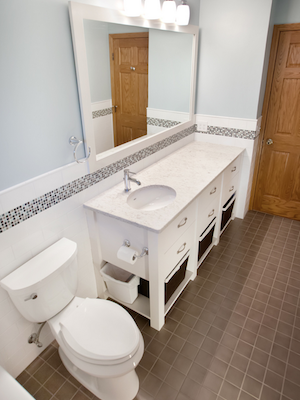 Bathroom renovations often aim to solve existing space, function and storage issues. Custom details allow homeowners to build in solutions to these issues. 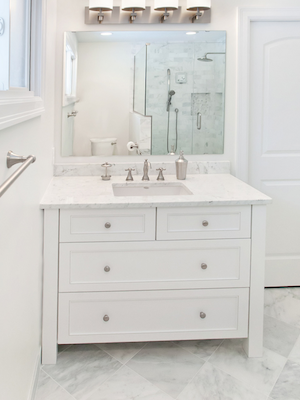 In the Arbor family home, we completely redesigned the second story bathroom. Taking it down to the studs, we redesigned and built it back up to meet the family’s needs, including enough storage for both of their children. 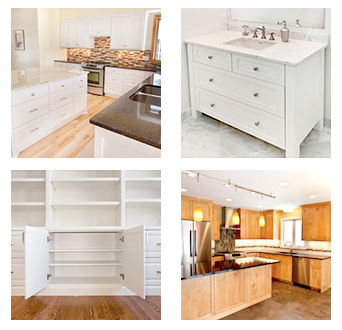 The solution: custom beautiful, bright white cabinets that added tons of space to store items. We also designed the glass accent tile for the shower and added in-shower shelving to give additional storage. A poorly designed bathroom can be challenging to use and enjoy. Redesigning the space will not only update the look, but improve the function to match your needs. Our renovation of the Dakota Lane main bath did just this. Modern colors and new tile work brighten the space. The custom vanity adds storage while creating a space to get ready in the morning. New lighting and fixtures finish the space. How Would You Design Your Bathroom Oasis? 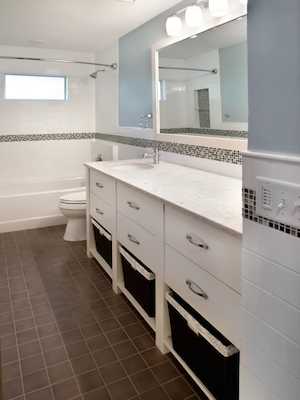 Share your ideas and favorite bathroom remodels with us! Leave a comment here, share your photos with us on our Facebook page or send us a message on Pinterest. Feel free to also send us an email or give us a call! You can reach us at 952-737-7088. Photo credits: Artisan Cabinet Co.